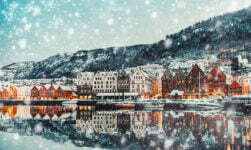 Our guide to public transport options in Norway’s second city. 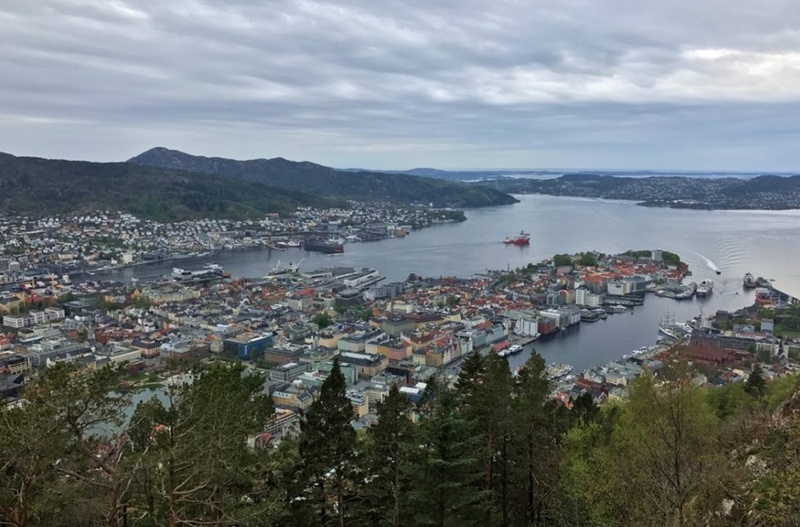 Most of Bergen’s attractions are located in the very compact central area and aside from a few cobbled streets, the city is relatively easy to explore on foot. But the rest of the city is built on mountainous terrain and even some of the hotels and restaurants close to the central district require a walk up a steep hill. All local buses and the light rail system are operated by Skyss. Single tickets for the central zone (which stretches well beyond the city centre) cost 37kr in advance, with 24-hour tickets (95kr) and 7-day tickets (245kr) also available. Prices correct as of October 2017. 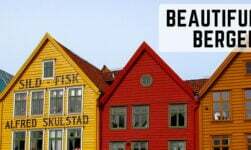 Buy tickets from the customer service desk at Bergen bus station or from one of the ticket machines at most transit stops. 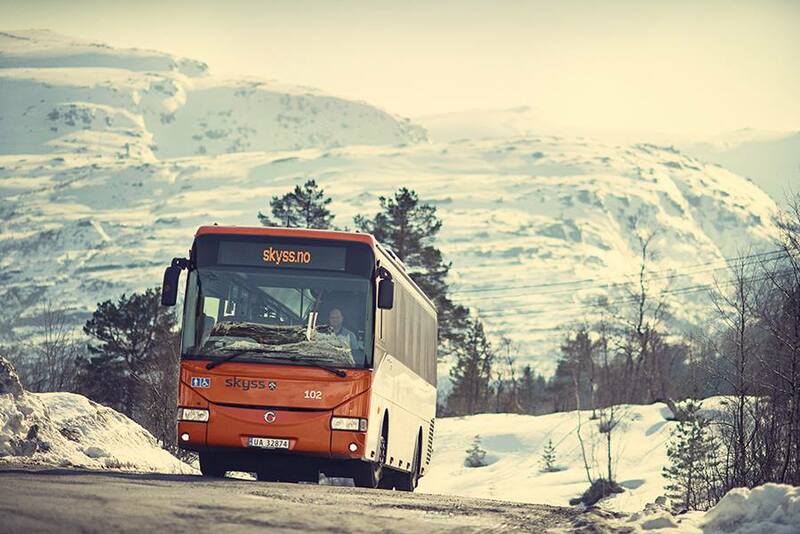 The Skyss website is fully translated into English (look for the link in the menu bar) and is an excellent resource to plan your local bus travel. Large maps are posted at most bus stops around the city centre. 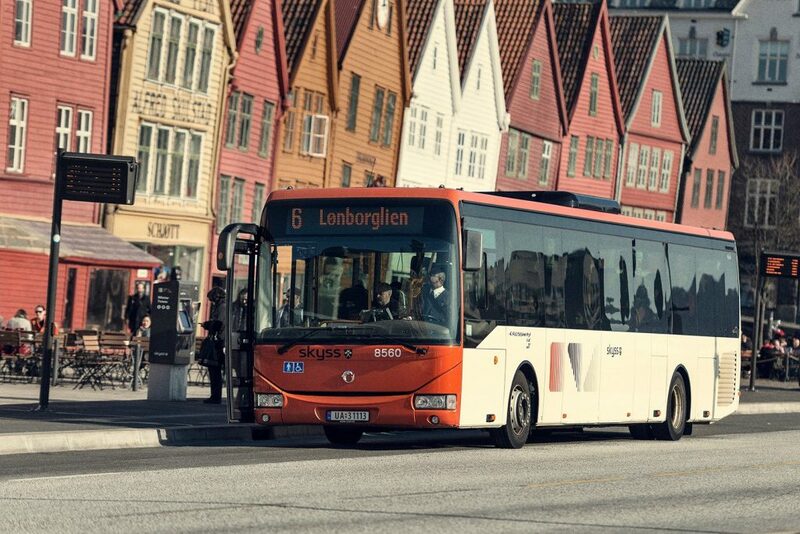 Bergen’s white and red buses are mainly used by locals commuting in and out of the city centre, but they can also be useful for tourists visiting some of the city’s far-flung attractions or those staying in some of the cheaper hotels or campgrounds out of town. Buy your tickets in advance, because paying on the bus costs 60kr with no change given. 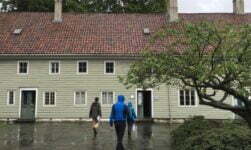 Some useful routes to know include lines 1 and 83 that serve Fantoft and Paradis, useful for visiting Fantoft Stave Church, and lines 3, 4, 5, 6 & 83 that serve Gamle Bergen, for the Old Bergen Museum. The city’s one light rail line (Bybanen) has recently been extended and is now of great value to travellers as it links the city centre with the airport at a bargain price. Riding Bybanen costs the same as a regular bus ticket, in fact the ticketing system is the same. Because of the extremely high fares, taxis should only be considered where there is no viable alternative by public transport, or for large groups with lots of luggage. 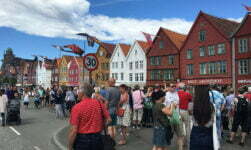 Taxi ranks are located on the Bryggen wharf and at the front of the railway station. A key mode of transport for locals and visitors alike, the funicular railway (Fløibanen) whisks passengers from the city centre up Mount Fløyen in just a few minutes. 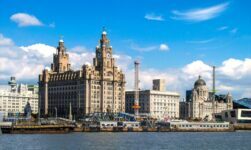 More than 1.3 million visitors make the journey every year so it can get busy especially on weekends. Head here early in the morning for fantastic views and the start of many hiking trails. 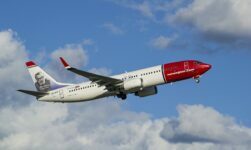 The roundtrip costs 90kr with children under 16 and seniors paying half.